Pacific Fence & Wire Co. is a family owned and operated Oregon fence company that has been serving Portland, Oregon and the greater Pacific Northwest since 1921. We are passionate about our work and take pride in providing the highest quality in craftsmanship and service available. 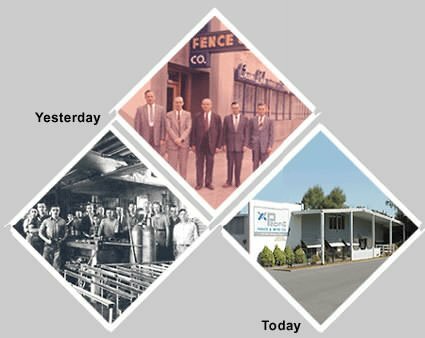 Pacific Fence is one of the longest running fence businesses in the Portland, Oregon area and we are proud to be celebrating over 95 years of serving the Northwest. We do everything we can to make our clients comfortable throughout the entire process of securing and beautifying their property. We will go the extra mile to explain all of the fencing options available and we stand by all of our work. Our goal at Pacific Fence is to continue to be Portland’s premier fencing company and to make our clients so satisfied that they feel comfortable referring us to their friends and family. Pacific Fence is the premiere Oregon Fence Company and is proud to be serving the surrounding areas. Some of our fencing projects include locations in Yakima, Hood River, The Dalles, Pendleton, Bend, Corvallis, Eugene, The Oregon Coast, Eastern Oregon, Eastern Washington, Idaho, and all up and down the Columbia River Gorge. We have also taken on large scale projects that include enclosing wind turbine sub-stations in remote areas. Here at Pacific Fence we know there is no greater place to live than the Pacific Northwest and we like to stay actively involved in the community. Whether it’s donating to local baseball and softball programs or providing materials for schools and parks, we love to stay involved.